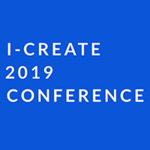 Into its 13th year, i-CREATe continues to provide an international platform of conference, Student Innovation Contest, and exhibition featuring innovative technology, equipment, applications, techniques and materials applied in the field of Assistive & Rehabilitative Technology. It is also a stage for technical exchanges to share ideas and best practices in the disabilities field from across the countries. This conference will include a range of workshops on the types of assistive technologies available for use in education and employment. There will also be presentations by people with disabilities using technologies in their daily lives, including education, training and employment.